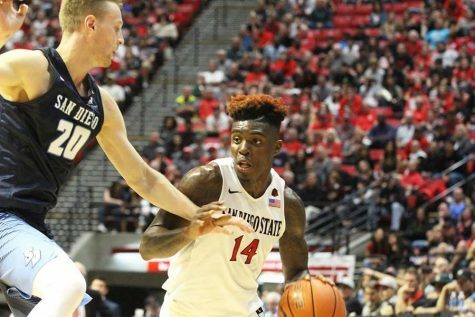 What began as a good idea quickly turned into poor execution for the San Diego State men’s basketball team. Freshman point guard Jeremy Hemsley began play draining a 3-pointer from the top of the key. However, that would turn out to be more luck than trend. 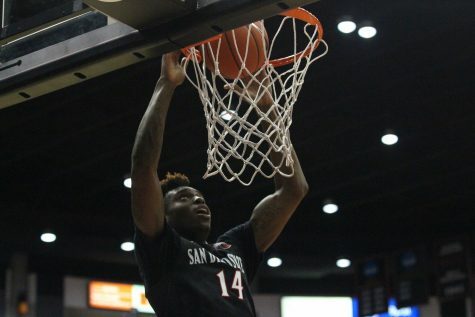 “Early, we settled for a quick, OK shot, many of them long range,” SDSU head coach Steve Fisher said. 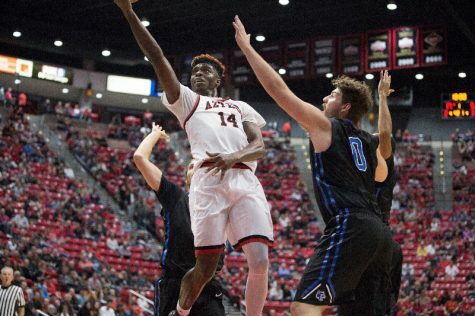 Thirteen of the Aztecs’ 22 first-half shots were from beyond the arc and they struggled to connect. After Hemsley’s opening 3-pointer SDSU would miss their next 11 shots from long range. They would end the half 2-of-13 from distance. The reason for the inflated amount of jumpers was the fact that SDSU was never able to establish a presence in the paint. Little Rock would use a 2-3 zone to counter the clear height and length advantage of SDSU, as every Aztec drive in the lane was met by a wall of collapsing Trojan defenders that forced SDSU to settle for perimeter shots. The Aztecs only scored four points in the paint in the opening half and committed seven turnovers — three tallied as steals by the Trojans. “A good number of our turnovers occurred when someone tried to dribble to the rim and someone was there to knock it loos and kick it away,” Fisher said. At the end of the first half, only junior guard Dakarai Allen had made more than one field goal and four players who at least attempted a shot for SDSU would be held scoreless. The Aztecs’ struggles carried over to the opening of the second half, being held scoreless for the opening three minutes. But a mix of 3-pointers and free throws carried SDSU in the second half — 16 of their 24 second-half points came from 3-point range or the free-throw line. Freshman guard Ben Perez lit it up from 3-point range as he hit his first three from downtown — each one giving the Aztecs the lead. The Aztecs eventually learned from their early mistakes and attacked the paint in the second half. 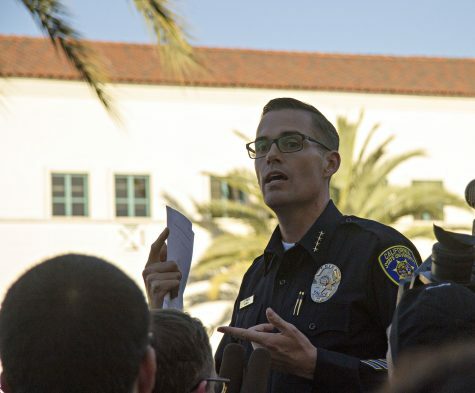 Eight points would come within five feet of the basket and SDSU continually received the whistles as they drove at Trojans defenders, resulting in four points from the free-throw line. 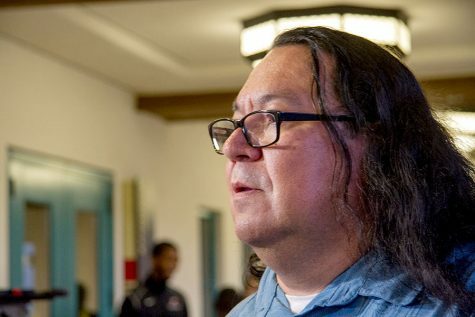 But when it mattered most the Aztecs reverted to their first-half woes and settled for mid-range jumpers or 3-pointers and not one found the bottom of the net. The only successful basket in the last four minutes was a layup by Hemsley. Three players who logged minutes for SDSU did not score a single point. 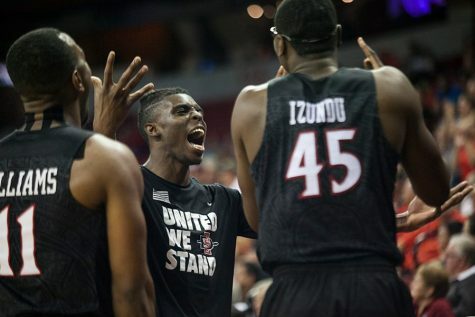 It was the senior trio of forward Winston Shepard and centers Skylar Spencer and Anelo Chol. The three shot 0-of-8 combined from the field and 0-of-2 from the free-throw line. Each tallied at least four rebounds, including five offensive boards from Chol. 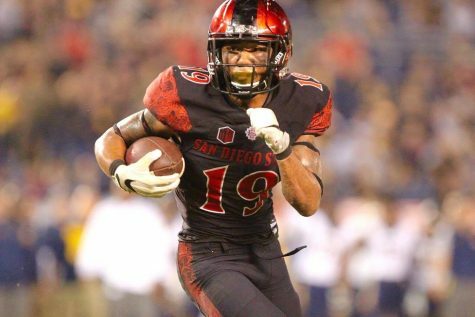 However, the senior leadership that Fisher talked about in this blossoming season never showed for SDSU, as the three accounted for six of the team’s 16 turnovers. 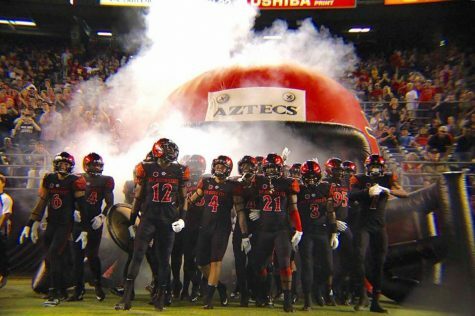 The Aztecs entered this game on an 84-game winning streak at home against teams that ended the season with an RPI below 100. 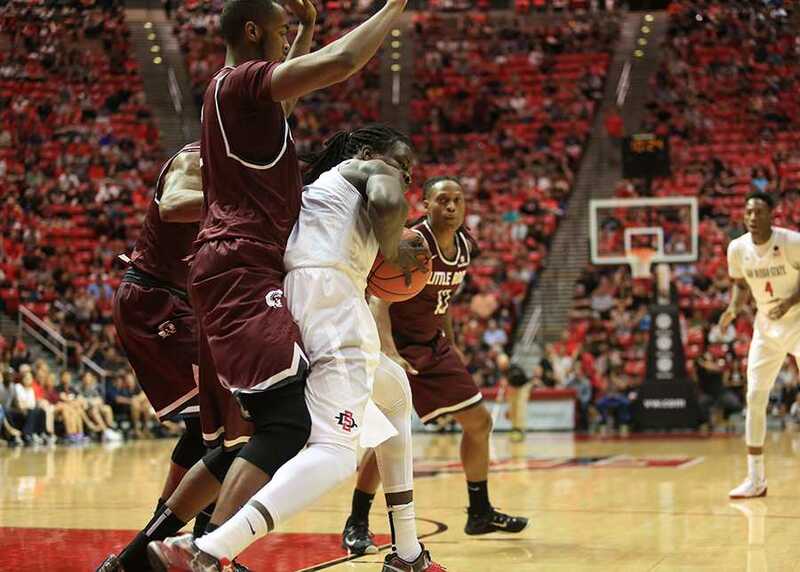 Little Rock came into Viejas with an RPI of 347 out of 351 NCAA Division I teams. 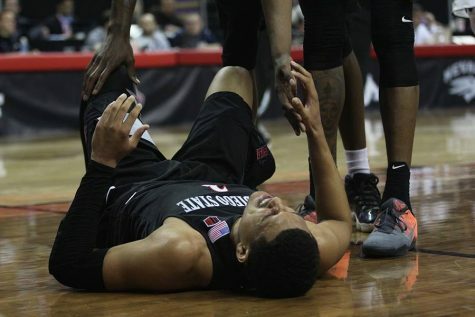 The loss to the Trojans is the Aztecs’ worst in terms of RPI since a 62-56 loss to No. 277 University of Northern Colorado on Jan. 9, 2008.